"Asia's Biggest International Mid-Year Jewellery Fair"
Hong Kong Jewellery & Gem Fair is a must-attend show for jewellery and gemstones enthusiasts, for this event shows a wide array of products that find a place in everyone's bucket list. Fashion jewelry, jewelry gifts, antique and vintage jewelry, loose diamonds, diamond jewelry, gemstones and precious stones, jewelry accessories, jewelry packaging tools, and materials are the highlights of this event, from the Gems & Jewelry industry. Absence of places to eat/ sit or to simply rest while at AWE. The few chairs available were for designated coffee shops or behind control food court areas. random check by the police is ridiculous, ...not enough resting place, no space for lunch. manage to find a few good supplier for our business. Extremely well organized and first class event. I would certainly return. 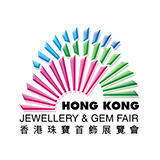 Hong Kong Jewellery & Gem Fair will include participation of a large number of exhibitors from all around the world. The exhibitors will include wholesalers, retailers, importers, exporters and designers from all sectors of the fashion jewellery and accessories industry.